The cloud is your company's biggest risk—if you don't adopt it. Regulated companies have a hard problem to solve. They run the existential risk of becoming obsolete due to an inability to adopt new technology fast enough. Incumbent business models are being outflanked by shifting customer expectations brought on by improved digital experiences. Market conditions are out of their control. Even healthcare, with its strong entrenchments, is remarkably close to upheaval due to world-changing ideas, like mobile devices or AI. It stems from the mother of all recent innovations, the cloud. If regulated companies can adopt the cloud, then compliant cloud computing becomes an organizational differentiator. On the other hand, compliance is a literal risk that must be managed. Today, compliance is still an unfamiliar challenge on the cloud, where it’s treated as a more immediate concern that prevents regulated companies from addressing the true existential threat on their horizon. Complete Cloud Compliance is a program developed after years of managing high-stakes compliance requirements across mission-critical healthcare workloads and workflows. 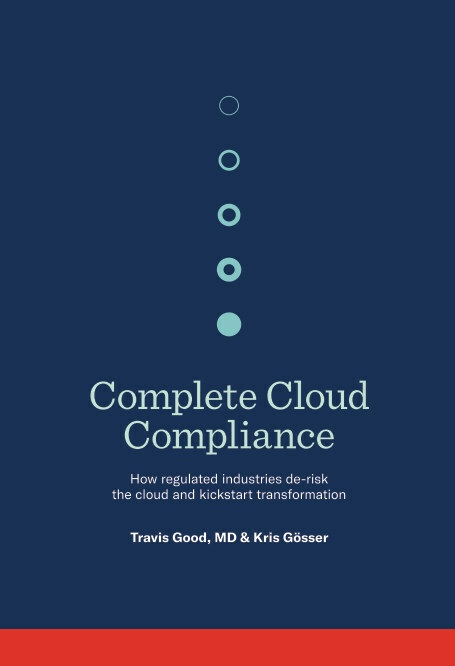 The book explains how to address compliance on the cloud in totality. The program is written for healthcare organizations, but all while under the principle that best practices are best practices, meaning the insights shared can be applied in any industry across the globe. The industry cloud for healthcare. Datica handles compliance and data interoperability on top of public clouds like AWS, Azure, and Google Cloud.